UTM tags are they industry-standard technique for organizing your incoming traffic. Unfortunately, they are also very brittle. Small misspellings or mistakes in links that get published can ruin you beautiful reporting by adding silly off-by-one mistakes. We've all be there when you blast out an email marketing campaign only to notice a mistake in your tracking parameters on one of your links. Never fear, these are easily fixed using our UTM Remapping functions. UTM tags are simply URL parameters (e.g. example.com?abc=123) that describe where traffic comes from by defining the 5 UTM attributes. Unfamiliar with UTM tags? Get a quick refresher with our Introduction to UTM Guide. With all the power UTM tags have, they can be undone quickly from a small typo in one of the params, an eager agency or even accidentally leaving off one parameter can make your analytics and reporting go haywire. The first step to keeping your UTM tags consistent is to have a hierarchy defined and widely-used amongst your marketing team, agencies and vendors. This keeps everyone on the same page and prevents lots of unfair apples-to-oranges comparisons when reviewing your marketing analytics. This kind of common language makes it super-quick to glance across reports and see comparative performance without endless work in Excel to covert between structures. What can be done once a broken UTM tag is out in the wild? First things first, fix it at the source: if the tracking parameters can be fixed do that first. Some paid network sources like AdWords allow you to update your tracking parameters on live campaigns. They may require ads be re-approved which knocks them offline for a few minutes, but usually it's worth the small downtime to get the tracking working. After all, if you can't measure it, it didn't happen. Some paid networks, like Facebook, do not allow you to add parameters to an existing Campaign or Ad Set. If you can't fix the links, for example links in an email campaign that can't be fixed live, not to worry. 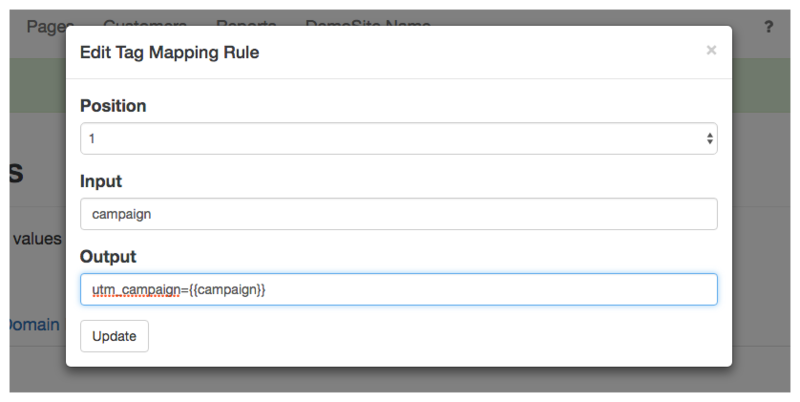 Attribution.io has Tag Mapping Rules that let you adjust any url parameters seen. 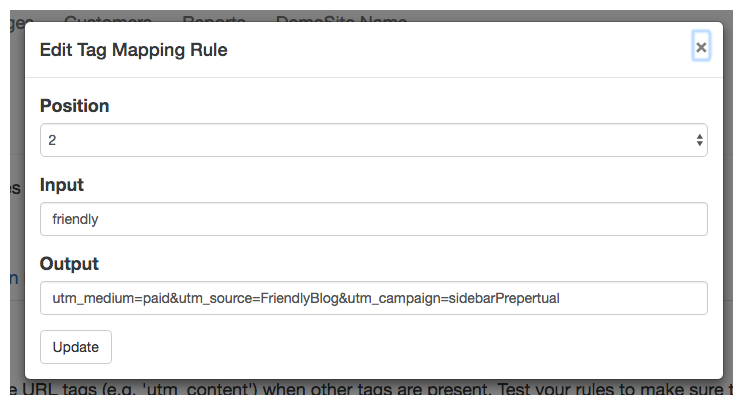 In fact, you can even use these rules to add UTM tags to traffic that might be using another scheme. Notice the mistake: campaign is there in place of utm_campaign. Notice that the original param of campaign is still present, but the new tag of utm_campagin has bee added! You can also use Tag Mapper rules to update tags from generic URL parameters into full UTM tags. For example, say you've paid for a placement in a popular blog and they've added a link to your site in their sidebar module, like so: example.com/landing?friendly=1. Notice that they're not using UTM tags, instead just set the parameter "friendly" to 1. Notice that both the original param friendly is still there and the full UTM tags have been added! Instead of putting your UTM tags directly into ad networks or links, many folks have success using a redirect server or UTL shortener. You still have to set-up your links ahead of time, but at least you can update the tags after the links are live. These services can be great at scale, but can also be too confusing for smaller teams. Pros: You can independently track who goes through the redirect, you can make links look more attractive to users before they click on them, some of them let you update the URL parameters after the links are live. Cons: You are adding another point of failure, if this redirecting service goes down, all of your traffic stops, the good one's aren't free and the free ones sometimes insert affiliate links into your traffic.